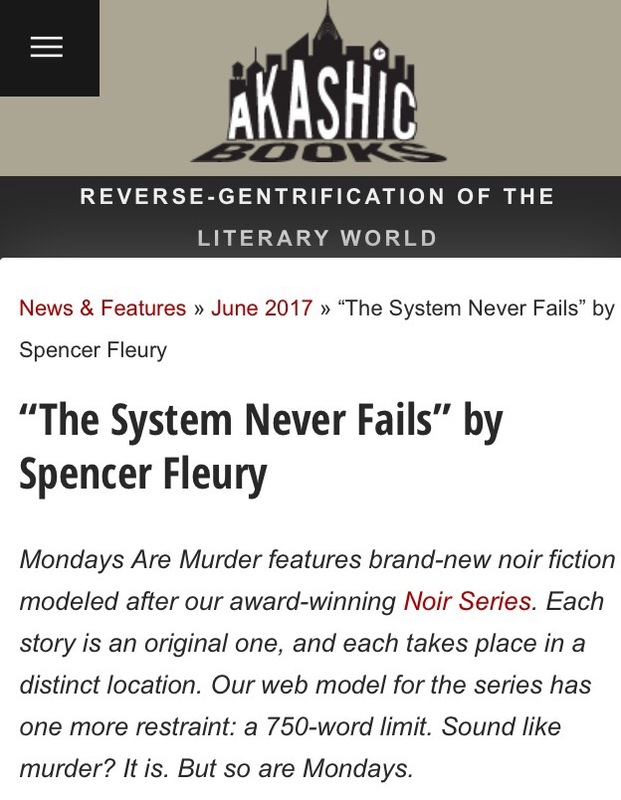 I’m a big fan of Akashic’s line of city- or region-based noir fiction anthologies (of the dozen or so that I’ve read, my favorite so far is Lone Star Noir), so placing a story here was something I’d been wanting to do for a while. There are only three requirements: first, it has to be noir, or at least has to meet the editors’ admittedly subjective definition of that term; second, it has to be tied to a specific place, and should be a story that could only happen in that specific place; and third, it cannot exceed 750 words. I set this story in early 1990s Tampa, back when jai alai was still a going concern on south Dale Mabry. I spent most of my important growing-up years in that city, and I’ve long felt it’s an under-explored setting for noir, crime and other generally darker fiction. So yeah, I’m pretty pleased about this one, and I hope you enjoy reading it. Find it here.